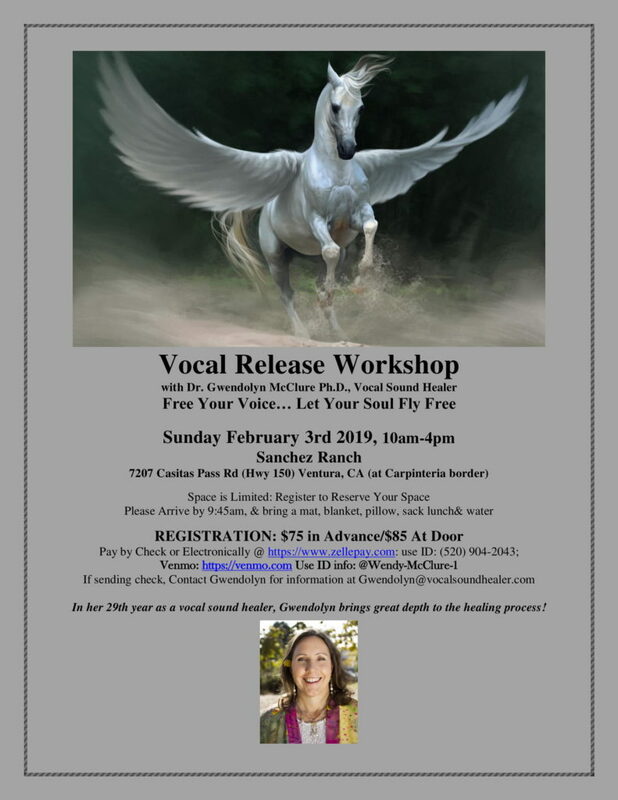 Join us for a beautiful day journey of clearing through Vocal Sound Healing with Dr. Gwendolyn McClure! No previous singing or vocal sound healing experience necessary. If your bank does not use Zellepay, send the Registration Fee electronically via Venmo: https://venmo.com Use ID info: @Wendy-McClure-1.